Co-trainer Adrian Bott has confirmed Sister Sledge will race in the Group Three Kembla Grange Classic (1600m) on Saturday afternoon. Sister Sledge impressed when winning her maiden by six lengths at Hawkesbury last month to leave the stable with options heading into this weekend. She was also nominated for the Group Two Phar Lap Stakes (1500m) at Rosehill, but Bott, who trains alongside Gai Waterhouse says the filly will be staying on the provincial circuit. "The mile looks perfect for her and we'll keep her at the slightly lower level," Bott said. "We've been waiting to step her up in trip and she really appreciated the extra distance last start." Sister Sledge finished third behind Estijaab and Pure Elation in the Group Two Reisling Stakes at Randwick just over 12 months ago but has only raced three times since. "She's nominated for the Oaks here and we're aiming to get her there," Bott added. "She relaxed beautifully last start and then was particularly strong through the line. 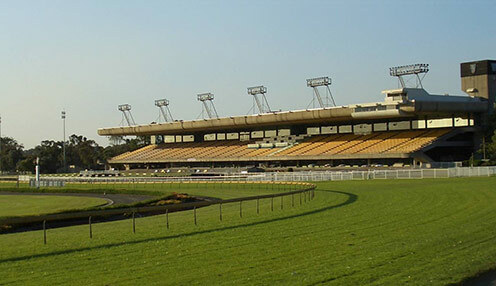 "The races at the weekend are up in grade obviously but the trip at Kembla looks the most suitable, especially with the long run in. "She's always shown us good ability and we've been patient with her, she's gained a lot of confidence from her last win and trained on well so we're keen to keep her in that frame of mind." Meanwhile, Winx is 1/10 to win the George Ryder Stakes, with Alizee 999/1 to halt the brilliant mare and Happy Clapper priced at 999/1 for the 23rd March race.